We’re your local bank providing conveniences like drive thru banking, ATM, Online Banking, Mobile Banking and so much more. 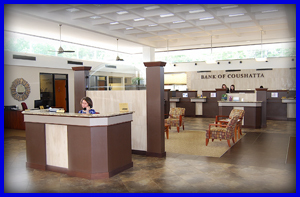 Whether you need a business loan, a car loan, a home loan or classic banking services like savings and checking accounts, Bank of Coushatta is always there to provide the banking services you need when you need them. After all, that’s what neighbors are for! We have a quick and convenient drive thru to help when you are short on time. 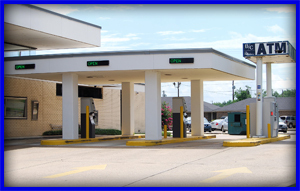 Bank of Coushatta offers an array of personal checking solutions designed to match your needs and lifestyle. From basic accounts to those with added features such as free checks, enhanced Online Banking, merchant discounts, higher interest on higher balances and more. At Bank of Coushatta, we have a checking solution to fit your requirements. Click here to learn more about our checking accounts. We are here for you whether you are looking to purchase a home, buy that new car, or getting funding for a business venture. We have you covered. See all of our lending opportunities. Safe deposit boxes are handy tools. They provide a safe place away from your home or office to store valuables. Click here to view some ideas of what a safe deposit box can be used for. Need help with investing? Already know how you want to invest? We are here to help with all your investment needs. Click to view our investment services.